This stunning three level villa is situated in Monte Servo area, just a short walk from Carvoeiro centre, with country views. The villa is entered through electric gates and has a large garage for several cars. 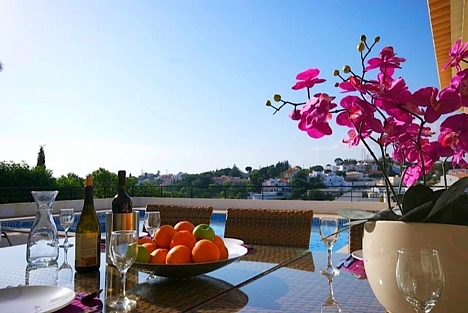 This new villa has been furnished to a very high standard and caters for 10 people. 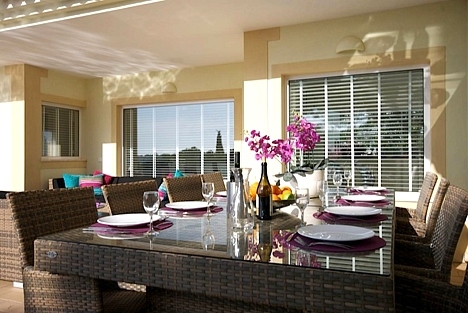 A large open plan lounge and dining area, a fully equipped kitchen. There are 3 double bedrooms with en suites, equipped with hair dryers and safes. 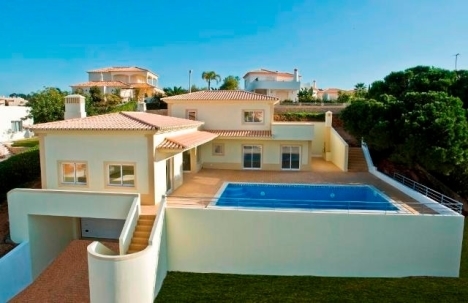 This is an attractive villa for 1 or 2 families as there is a separate kids area on the lower ground floor, bedroom for 4, en suite bathroom, games room and walled in terrace area. All bedrooms have en suite bathrooms.